Every month Club Merrylands Bowling gives away thousands of dollars in prizes including cash, vouchers, meat and seafood trays, produce, gifts and appliances. For both members and guests — it is so easy to be a part of the fun! 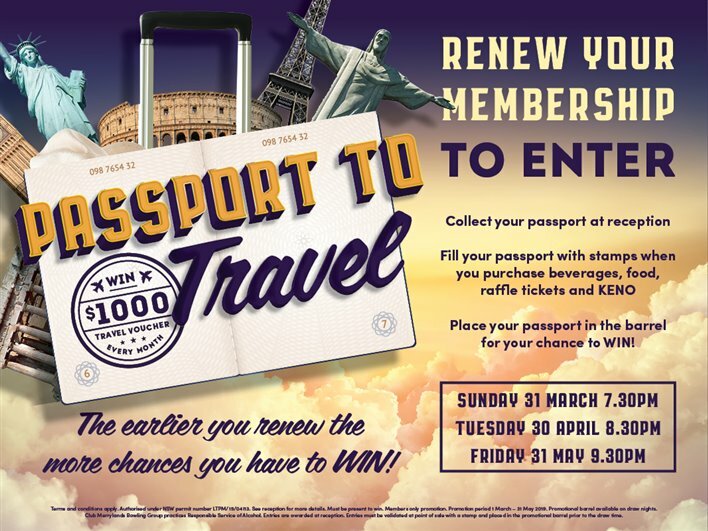 WIN $1000 Travel Voucher EVERY MONTH! The earlier you renew the more chances you have to WIN! Place your passport in the barrel for your chance to WIN!